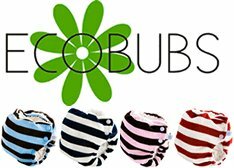 If you asked me which full stash of cloth diapers I would buy if money was no object, I would say the Ecobubs Wool Pocket Nappy. This is quite simply the best diaper I have ever tried on our baby, hands down. I've always said that there is no such thing as the best cloth diaper because they fit all babies differently. While that's still true, now I'm not so sure! The Ecobubs nappy is the creme de la creme among cloth diapers. This wool pocket diaper is made in New Zealand and we are thankful to have been sent one to review. Ease of use: As with all pocket diapers, this one is fairly easy to use. Just stuff it and you're ready to go. There are three snap settings for each size diaper that are easy to use and you don't need a manual. The inserts are very easy to wash and the diaper itself needs just a little bit of special care. It cannot be washed at a temperature above 60 degrees Fahrenheit and you need to take care for it not to come in contact with Velcro. I have actually been washing the diaper by hand with some Charlie's Soap because I wasn't sure what the temperature is in my hot water wash. Today I accidentally threw it in the hot wash with the rest and it survived just fine! Quality & Value: The highest quality diaper ever made? Quite possibly. The best value? Well, it depends on how you look at it and on your budget. Since each diaper costs $32.50 and comes in three sizes, it is not for everyone. If money is not an issue or if you need a few bullet proof nighttime diapers, you can't go wrong with Ecobubs. If you are planning on more than one baby, these will withstand rigorous use and will still look great in the end even if you'll have ten little ones. They also offer the Tangy Apple Day Nappy as a more economical daytime diaper option (not wool) for $25.50 each. How is this green: Not only is cloth diapering good for the environment, it is a lot healthier than wearing plastic for your little one. Ecobubs goes above and beyond though with the wool diaper. Wool is sustainable because it is renewable. It also has some inherently incredible properties such as stain and odor resistance, it is breathable, and antimicrobial. About the Company: Ecobubs was started by moms who really wanted the best cloth diaper for their little ones and to have it made locally in New Zealand. Who Would You Recommend this to? This is the one for parents looking for a leakproof night time diaper for their babies. For toddlers it can help transition into potty training. Great for a baby shower present. One Eco-Babyz reader will win an Ecobubs Wool Pocket Nappy of their own! Sorry, but only size Large in blue stripe is available (22+ lbs)! Mandatory Entry: Visit the Ecobubs website and tell me what you like most about Ecobubs. Contest ends at 11:59 pm on Monday, January 3rd 2011. Winner will be selected using Random.org and contacted via email. Open to US residents 18+. Disclaimer: I did not receive any payment for this review. I was provided a sample of the product by Ecobubs for review purposes. The opinions are solely my own and your experience may differ. I love the stripe pattern that their nappies come in! The red looks so festive for Christmas! I like that the diaper was designed by two sister with 6 kids between them! I love the wool! What else can I say? I would love the pink & brown nappy. The thing I like most is that they are wool that can be washed with the rest of the diapers! I love that sister's designed them and the lovely stripes! They are so striking! I love Eco-Bubs because of the unique striped patterns! It kind of creates a signature look that is unique to the. :) Plus, I am totally in love with little patriotic outfits, and these would match perfectly! I love the colors, and that even though they are wool, they can be laundered with the rest of my stash! I love the stripes on the Wool Pocket Nappy Outers! I have been looking for a 'pirate' diaper or cover! I love that they are easy to wash and were made by a pair of sisters. They are also so stinkin' cute! I like EcoBabyz on FB. Voted for Ecobubs on Oh Baby. I like that their products are all made in New Zealand. I voted for Ecobubs in the contest! I rated you on top mommy blogs! I like that they locally source their materials. I like that Ecobubs are made of wool... I've been looking for wool diapers and have found the selection limited. And these ones are actually CUTE. BONUS! I love their cute striped pattern. I love the striped patterns that the diapers come in and that they can be used as overnights. I think it is great they they are the designers and the makers of their diapers. Talk about dedication. I recieve Ecobubs email newsletter. Thanks! I liked Ecobubs on Facebook. Thanks! I like Eco-Babyz on Facebook. Thanks! I learned that one washable nappy per day you will stop 730 nappies from being disposed of in the landfill!! I like that they are made for toddlers too!!!!!!! That's my favorite thing. I signed up for the ecobubs newsletter, and I tried to confirm the subscription but it keeps giving me the page not found error when I click to activate it from my email. I like Ecobubs on facebook! I voted for you on baby blogs! I rated and left a review on top mommy blogs! The thing I like most about ecobubs is the designers' creative endeavors to create new product that addresses the needs of autistic and other special needs children. I don't think I have ever heard of a diaper company taking their ideas one step further in addressing the needs of special kids. I signed up for the ecobubs newsletter! I like Ecobubs on Facebook! Woot! Woot! Voted for EcoBubs at the OhBaby! Awards site! I like their nappy sacks. Thanks. I love that they are wool. Wool is such a versatile, long lasting, and absorbent fabric. Thank you for the lovely giveaway. What I like most is how stinkin' cute they are! I subscribe to Eco Bub's newsletter. I like that they use wool since it's very absorbent! I love that they are so family oriented. 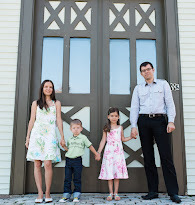 Founded by sisters and they both have families and focus on families. I really like the stripe pattern- it's distinctive. I follow you on facebook- Janelle King. Love that they're eco-friendly, of course! And the stripes are adorable! I like the FAQs section of their website. Great information. I love that they are a wool diaper! Also, the unique stripe design is great! I love that they stand behind their product 100% and that they're ecofriendly!